People love to draw, whether it’s a large masterpiece or a small doodle in the corner of their homework. But could you imagine, in the corner of your homework, was a doodle masterpiece? Even your teachers or professors would be amazed! So, below I share with you three easy-to-use drawing resources than you can use to turn your average doodles into awesome works of art. 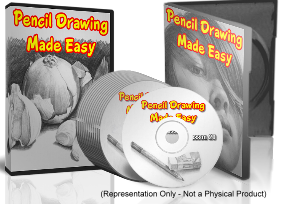 Head on over to my post, Pencil Drawing Made Easy (Review), where I talk a little more about this amazing program. All of the features of this How To Draw Course will be instantly downloadable and lets you Start Drawing Animals TODAY! This special low promotional price won’t last forever though so BUY NOW before the price increases! Now, get to doodling that awesome masterpiece! And then share it with me. I’d love to see it!